At regional restaurant de Hofkaemer in Bergeijk, the Netherlands, 80% of the dishes on the menu are locally sourced. If you choose the tastes of the region menu or the regional indulgence menu, 100% of what is on your plate is local! Head chef Marnetta creates delicious contemporary dishes with the locally sourced, seasonal, ingredients like asparagus and strawberries. The restaurant has a homely atmosphere and a wide aray of menu’s to choose from. During the day a Teutenbrunch, afternoon tea, afternoon wine or afternoon beer, and in the evening the friendly priced, three course, seasonal Teuten menu. Special dietary needs like gluten, sugar, or lactose intolerance are not a problem. 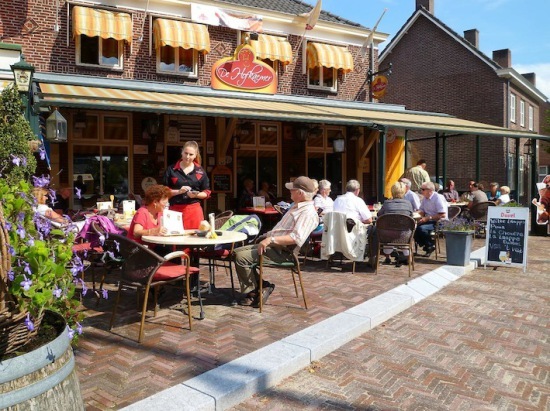 De Hofkaemer also does catering and you can buy regional products at the restaurant. 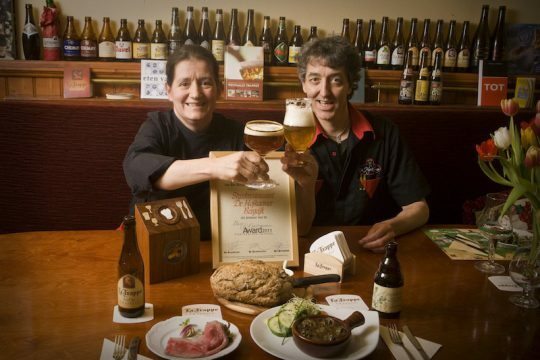 De Hofkaemer is the 2011 Beer and Gastronomy award winner.